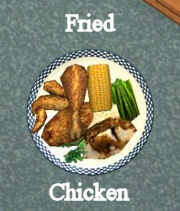 Presented here, for your sims dining pleasure, old fashioned Fried Chicken. There was a lot of work put into these but I don't begrudge the time it took. I had to insert the whole preparation stage, which was quite challenging. Through doing the 4 restaraunt meals I have learned exactly how foods work & because of that I am able to make other, new foods YAY!! As you can see, all of the animations are available. 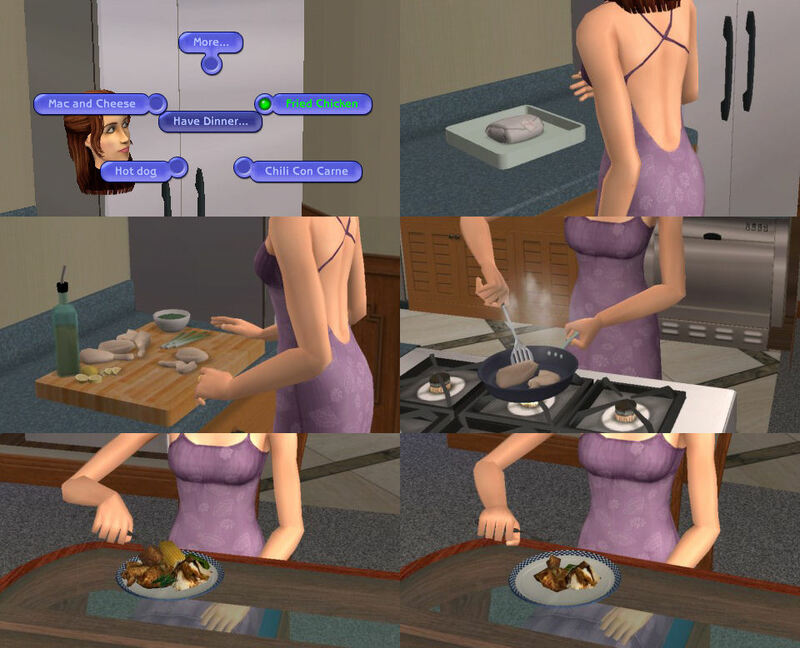 The sim properly prepares the food, cooks it & the food disappears from the plate as it should. Everything works - burned food, fresh food, Make/Make Many & Put Away Leftovers. The sim requires cooking skill level 3 & because these new foods came out with NightLife you'll need to have it installed. A bit of history on this: Squinge originally extracted all of the restaraunt meals & I had updated them for him last year. The problem was that those meals never had any preparation animations. Squinge has given me a lot of encouragement plus I am just plain determined. Finally I have finished making the new meshes & figuring out how to properly animate these. So, please, if you have the old versions, delete them because (with Squinge's agreement) I have used his original GUIDs - we are trying to be a bit economical with the GUIDs. If you look inside the file you will see Squinge's name in there - it is my way of ackowledging him even though I started these new foods completely new.